The wrinkled, wedge-shaped fruit ripen from green to red, and can be harvested at either stage of maturity. They can be up to 30 x 50mm in size, but can be smaller when the plants are grown in pots. The plants are tall and ungainly, and when grown in the ground and given plenty of light, they can reach 1.5m or more. When grown in pots, however, their height can be considerably reduced. For more information about Dorset Naga click here. 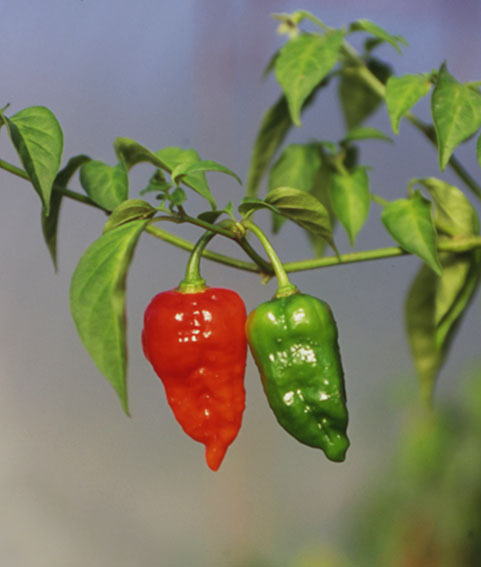 In 2018 we challenge growers to see who can get the most red chillies off one Dorset Naga plant. 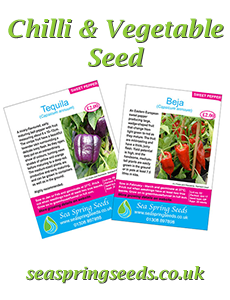 If you think you are a good chilli grower why not give it a go? For more information click here.